The musician who goes by mudlogger, aka Ubon Ratchathani of Thailand, has been uploading modular synthesizer experiments. 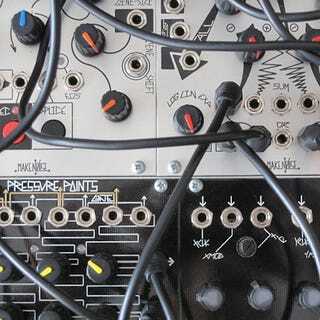 Among them is this piece, “OrLo,” which he describes as “modular jazz.” No doubt it gets that description because the white noise percussion suggests a robotic trap set, and the intransigent pneumatic piping sounds like a European free jazz saxophone solo. Or perhaps it’s some source material surfacing through heavy manipulation. Track originally posted for free download at soundcloud.com/mudlogger. More from mudlogger at twitter.com/bitchhands. Video located at Vine video.